I have been M.I.A. for a while, I got caught up with my YouTube channel and life. I am glad to be back! I was sent the Sally Hansen Complete Manicure box from Influenster. Sally Hansen Complete Manicure offers 7 benefits in one bottle. This new line has base coat, strengthener, growth treatment, color, top coat, chip resistant and a gel shine finish in every bottle. I went to Walgreens yesterday and seen a fab deal on the side of the aisle. There was a Wet N Wild display, you get two items for $1.99 in a package. They had single eye shadows with black eyeliner and 2 nail polish combos. There were many different colors to choose from for the shadow and nail polish. 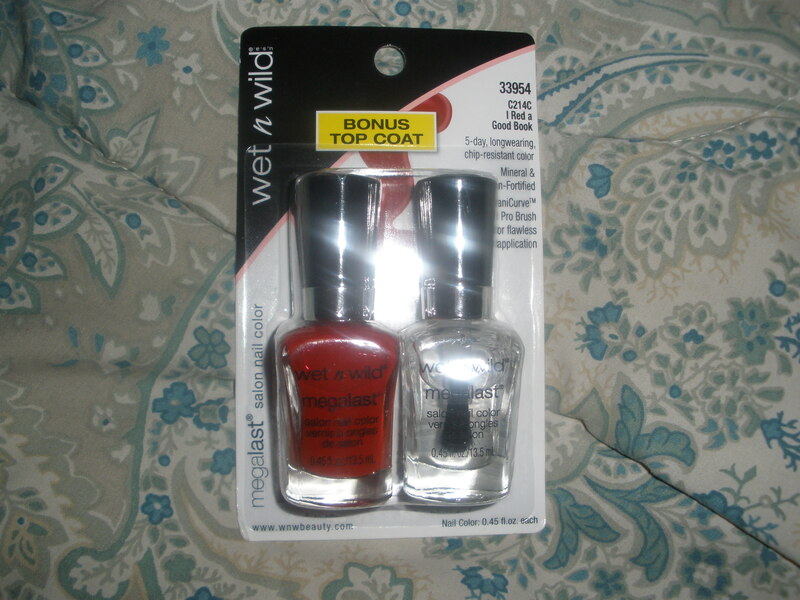 Lucky for me I went in there for a clear polish and I got the Clear topcoat and a red polish in the package for $1.99. I was so excited it was a great deal! Unfortunately, there was not a lot of selection the display was almost cleared out. It made me wonder what other duo’s they had 😐 . I advise you to check out your Walgreens and grab this deal. 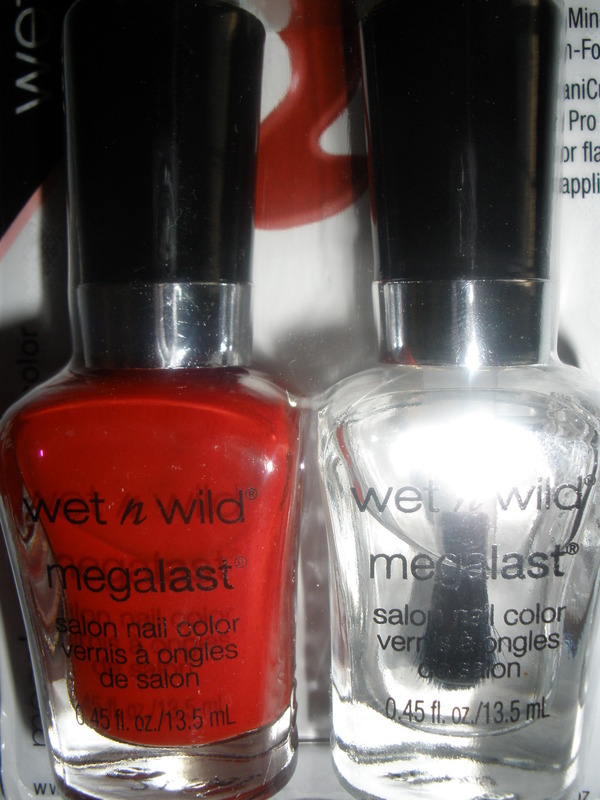 Also it is the Wet N Wild Megalast long wearing nail polish. 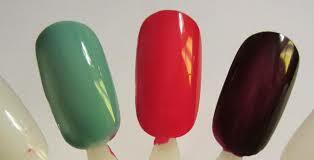 The polish lasts for 5 days, chip resistant and has minerals and calcium. For $1.99 you cannot lose! My Julep Maven box arrived! I know I have been slacking on the blog but I moved and all this stuff. So I received my first Julep Maven box and it was exciting. If y’all remembered I got the 1st box for 1 penny. In my previous blog I have the code and information how you can get yours for 1 penny as well. The packaging is very pretty it is black and pink. I received 3 nail polishes I love all the colors not so crazy about the sparkly purple because I don’t really like sparkle polishes. However for 1 penny how can I even complain. I tried the blue polish and I loved it, it lasted long it started chipping on the 4th day. The pink polish looked like a hot pink but when i put it on it came out to be like a darker pink. Julep Maven polishes are good it takes 3-4 days to start chipping and you need 2 coats of polish. I would compare it to Sally Hansen brands in terms of quality. The bottles are very cute and posh! Overall I say try it you only have a penny to lose. The colors I received were baby blue, pink and sparkly purple. Also came with two toe separators. JULEP MAVEN: NAIL POLISH AND NAIL CARE BEAUTY SUBSCRIPTION! Frugalista’s I’m super excited!! I been researching and finding a lot of beauty subscriptions and I jumped on the beauty subscription train. Beauty subscriptions are monthly beauty boxes that get mailed to your home for a monthly fee ranging from $10- $19.99. My recent subscriptions is a company called JULEP MAVEN! They send a monthly box of nail polishes, nail care products including mani and pedi products. They also include a surprise product every month a little something extra. I am excited because I love nail polish and change my colors like 2 times a week. Julep Maven has a style quiz and they tailor to your results. Which is good and bad,if you don’t like your results you can choose the category you like. That is what I did, they put me as “Classic with a Twist” but I changed it to “IT GIRL”. The “It Girl” comes with 3 polishes and the other categories comes with 2 polishes and a nail care product like pedicure cream. The polishes come in a cute fancy bottle with cute names, I will post pics when my box comes. I also have a special promo code and you can get your 1st box for a penny!!! Look for the link below 😀 enjoy Divas! I HAVE A SPECIAL PROMO CODE WHERE YOU GET YOUR FIRST BOX FOR 1 CENT (A PENNY) THERE IS NO A CATCH! IT INCLUDES SHIPPING, SHIPPING IS FREE! You can cancel at any time or skip a month. This subscription can’t get any better try it out you have nothing to lose but a penny. I say go ahead and spoil yourself get ready for summer with hot polish colors divas!